It's National Vegetarian Week and I'll be bringing you veggie news every day this week. Recipes, giveaways and cookbook reviews. Today I'll start with Meat Free Mondays. 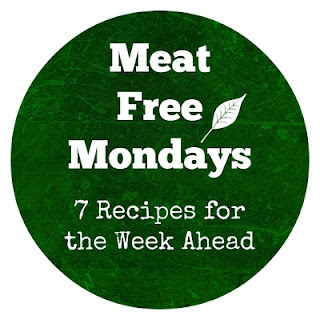 For those of you unfamiliar with Meat Free Mondays, it's a social movement, where people promote a vegetarian diet and encouraging everyone to try and eat vegetarian at least once a week. 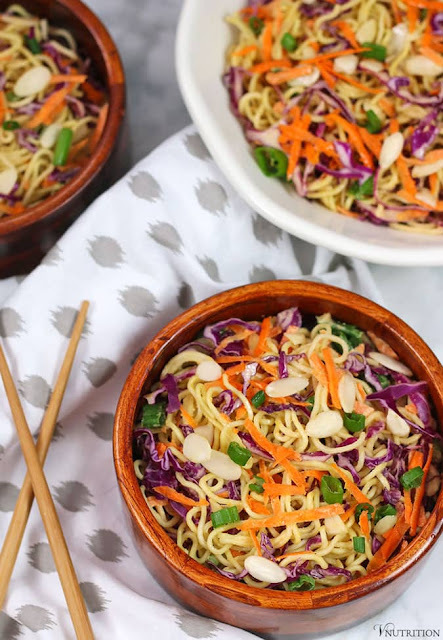 Every Monday throughout the year I bring you seven new featured recipes for the week ahead and let you decided how many days you want to go veggie. There's always plenty of inspiration. 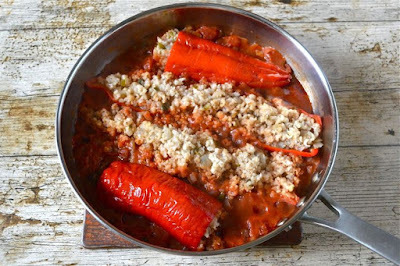 So without further ado and in line with veggie week, let's get stuck in! 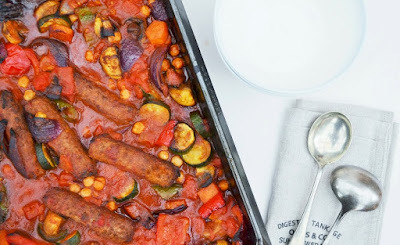 To support National Vegetarian Week I'm sharing recipes, cookbooks and giveaways with my readers every day this week. 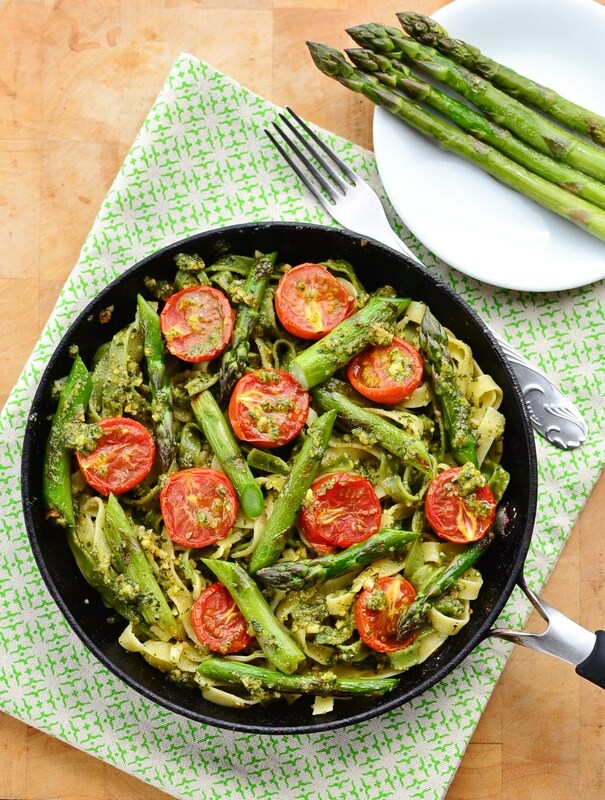 Happy vegetarian week - I must try and share some meals with Meat Free Mondays. Maybe if I get time today to photograph dinner before it gets dark at dinner! Happy Veggie Week Johanna and yes you should. Yes getting the photos taken first is always quite a task. 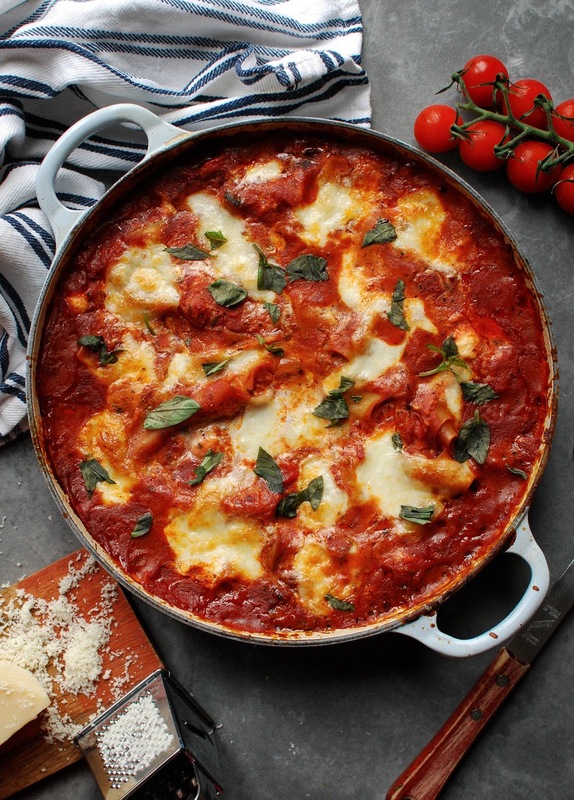 Thanks soooo much for featuring my recipe, but the link for the stove top lasagna takes me to Tin and Thyme stuffed red peppers. Which I shall be making for tea now, hehe. Oh I do hope you try it then Eb. We really love that one. Have a happy veggie week too. 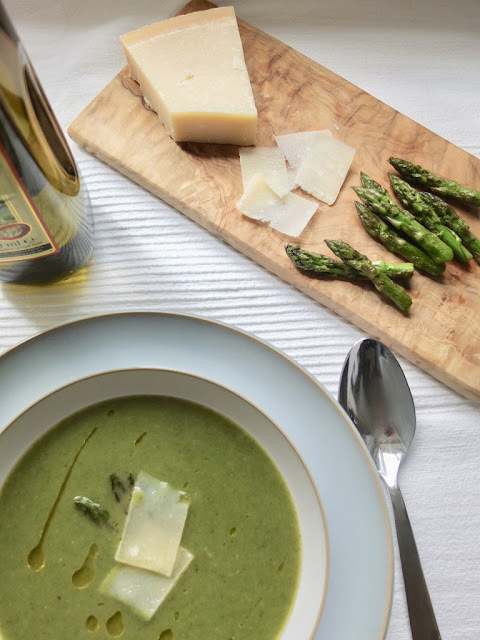 Your soup looks great Jo and thanks for joining in and submitting a recipe. 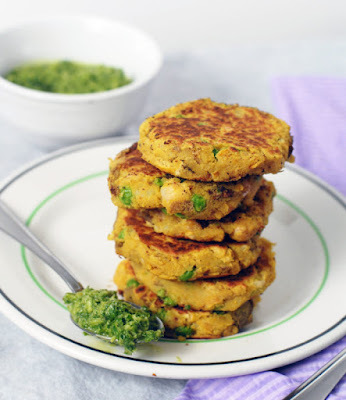 Hi Jacqueline, I am joining your linky party for the first time and I brought gram flour cakes with masala sweet green peas. Thank you for sharing. I'll be back soon. Oh yes you must try the bake in that case and do enjoy it. 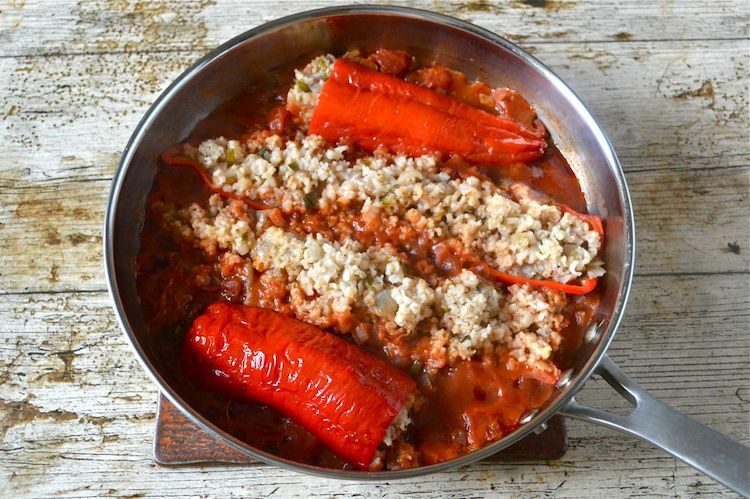 Some really beautiful recipes this week, those chickpea patties sound so good, as do the stuffed peppers! Yes, there are always so many tempting recipes. A lovely collection of recipes, just perfect for National Vegetarian Week. I'm going to try your sausage traybake out on my kids. Indeed and enjoy the bake, I bet they love it!